Bringing a contractor on board early is essential when creating your renovation budget. We need to estimate the cost of any aesthetic changes or upgrades to avoid over-improving the home. Do you need help finding the fixer-upper of your dreams? Together, we can evaluate the purchase price, factor in repair costs and determine the future resale value of the home. Do you really need a real estate agent to buy or sell your home? After all, the Internet is endless, and every penny counts, right? True, and true. But there are some things you just shouldn’t do yourself. 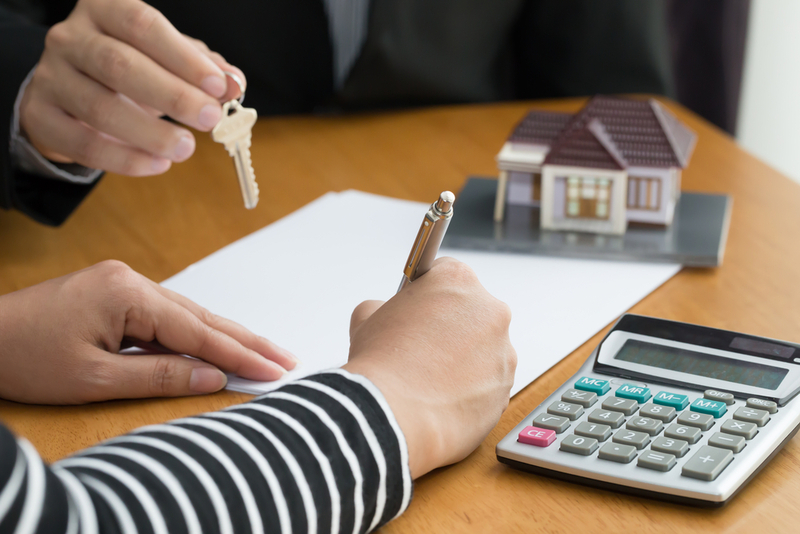 Buying a home is typically the biggest financial decision you will make, and the process requires lots of time, resources, and even more paperwork. A Realtor® will streamline this experience and offer the peace of mind that comes from working with a professional. Not all real estate agents are members of The National Association of Realtors®, but those who are must adhere to a strict code of ethics that puts client interests first, demands honesty in advertising, and expects full disclosure of a property’s existing issues or potential problems. Realtors® found in violation of Association policies can face fines, suspension or expulsion. Google is great, but there are benefits to using a Realtor® to buy or sell your home. Realtors have access to listings you can’t find through a basic search. They are part of an extensive network and have intimate knowledge of neighborhoods and properties, even ones that are not publicly for sale. Are looking for something specific? A real estate agent can help you find it. Realtors® are gold mines of market and industry knowledge. They know the values of neighborhoods and how those values fluctuate. They have access to valuable local information ranging from school districts and utility pricing to shopping and entertainment. Local regulations are frequently updated or amended, and a real estate agent can help you avoid properties needing expensive updates or repairs. Hiring a Realtor® provides you instant access to the network they have been building their entire career. If you need a contractor, inspector, home photographer, furniture rental, or cleaning and landscaping services, your agent can provide you with references to people they know and trust. Commission is negotiable, but typical fees can range from 3.5 – 8% depending on the local market. Your Realtor® can better explain your circumstances, but it will be money well spent. Buying or selling a home requires communication and lots of it. Your Realtor® will take and return phone calls, make and keep appointments, handle all of the paperwork related to your sale, and negotiate on your behalf. Negotiation is tedious, and it’s wise for buyers to distance themselves from the haggling. Realtors® are skilled in objective negotiation and will consider every option to create the best possible outcome for their clients. 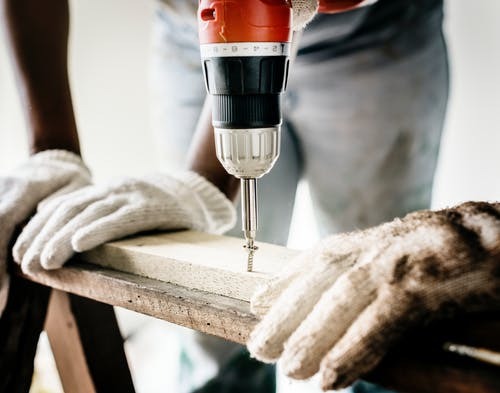 If a property needs repairs, agents are capable of advising their clients on reasonable requests and referring them to trusted inspectors and contractors. Real estate has its own lingo, and Realtors® understand the contracts and various conditions of home sales. They are an excellent resource for advice and industry insight. Your agent will also maintain detailed records of your transaction and can provide these items should any issues arise. Home buying is a stressful, frustrating process without a consistent and knowledgeable support system. Don’t let it be a negative experience! Invest your time and money wisely, and hire Duck Brothers Real Estate to help you with one of life’s biggest milestones. We look forward to showing you what Waco Texas real estate has to offer! If you enjoyed this article, please like us on Facebook for more great tips and tricks, as well as industry insight and Waco area events! Tiffany Edgecomb is a freelance writer specializing in real estate and lifestyle content ranging from food to personal finance. She’s the founder of The Alphabet Soup Company and has been writing for almost a decade. Congratulations! You’ve decided to buy your first home! You already know real estate is an excellent investment and have an idea of what you want. You’ve been thinking about neighborhoods, number of bedrooms, and visiting furniture stores with stars in your eyes. You’re finally achieving your American Dream! Buying your first home is incredibly exciting, but don’t get carried away just yet! Before starting your search for the perfect home, take the time to get pre-approved for a mortgage loan. Did you know that not every home will qualify for every mortgage? It’s better to know that sooner than later! Getting pre-approved for a loan will provide your agent with information about what you can afford and your financing options. Pre-approval clarifies the buyer’s price range, guarantees that amount for a set period, and establishes specific criteria that will save time during your search. A mortgage pre-approval letter will take time and stress out of the home buying process, and prevent you from spending unnecessary money. The first step to getting pre-approved is checking your credit history and scores. Lenders use all three major credit-reporting agencies (Equifax, Experion, and TransUnion) to evaluate your creditworthiness. Resolve any outstanding accounts or collections promptly and get any payment agreements in writing. High credit card balances negatively affect a buyer’s debt-to-income ratio. Clean up your credit and pay down that debt! Once your debts are paid, and any negative reporting is resolved, it’s time to collect paperwork and proof. You will need proof of income, such as W2 forms, pay stubs, and two years of tax documents. Lenders will consider bank and investment account statements alongside evidence of cash savings for down payments. They will verify your employment history and salary, and you will also need to provide photo ID and your social security number. There are several types of loans, and each has conditions that must be met. Some offer fixed-rate financing; others have variable APRs. Some loans only finance certain types of properties, and others have varying requirements for insurance, down payments, and appraisals. Loans are considered on a case-by-case basis, and your lender might require additional information or paperwork from you. Cooperating promptly and providing correct and current records will help the approval process go smoothly. Once you've collected all this information, it’s time to decide what type of loan best suits your needs! Conventional loans are fixed-rate or adjustable-rate mortgages from private lenders that are not insured or guaranteed by the federal government. These loans have strict eligibility requirements regarding down payments, interest rates, and income but will finance the widest range of properties. Conventional loans can be used to purchase single-family homes, multiple unit properties, and primary, vacation or rental homes. FHA loans are insured by the federal government and offer more relaxed standards than conventional loans. These types of loans are easier to qualify for and require a smaller down payment, making them a great option for first-time homebuyers. The Federal Housing Administration offers a broad range of programs and down payment assistance options. FHA loans can be used to buy single-family homes, vacant property with intent to build, HUD approved townhomes or condos, and manufactured homes with a permanent foundation. VA loans are guaranteed by the US Department of Veteran’s Affairs for our country’s service members. They offer better terms and low or no down payment but require an eligibility certificate from the VA to qualify. VA loans can be used to purchase existing single-family homes or those under construction, modular homes, or condos/townhomes on the VA’s approved list. Having that approval letter in hand will allow you to begin your home search confidently. Let Duck Brothers Real Estate guide you through your real estate journey in Waco, Texas. Our company combines a home turf advantage with industry expertise to help our friends find the perfect place to call their own. Call 254-613-6326 or visit our website to start your home-buying adventure today! Like us on Facebook for recipes, humor, real estate news, and local events! A home warranty is a protection plan purchased during the sale of a house to provide coverage for major home systems such as heating, air conditioning, plumbing, electrical, and some appliances. Home warranties should not be confused with homeowners insurance, nor should they be purchased in place of it. Warranties cover the repair or replacement of a home’s specific components should they fail, while insurance covers major events such as fire or water damage, crimes such as theft or property damage, and the owner’s possessions. These warranties usually cost between $300 - $500 for one year of coverage, plus an additional $50 - $125 service call fee each time the company sends a technician to the home. Premiums are typically paid in full, but some companies offer payment plans for their products. Service call fees, however, are charged at the time of service. The biggest advantage to purchasing a warranty is peace of mind. These products offer a discounted cushion against any problems that arise in the first year of owning a home. This is particularly useful if the buyer is unaware of how the previous owner maintained their appliances or home systems. In the event that a costly repair is needed, the warranty will help absorb the majority of the expense and take the stress out of locating a contractor. 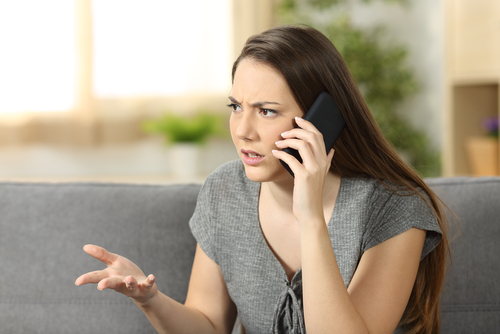 Warranties restrict the owner’s ability to choose the service provider responding to their claim, and the service call fee must be paid even if the claim is denied and the item in question is left unrepaired. Most policies have strict limits and terms for repairs or replacement and can deny coverage if the items have been improperly maintained. Unfortunately, premiums are non-refundable, even if you don’t experience any system or appliance failures throughout the year. Know What Your Plan Covers! Always carefully review the terms and conditions of any policy to make sure it fits your needs. Take note of payment limits for repairs, replacement terms for items that cannot be fixed, and understand exactly what is (and is not) covered under the policy. 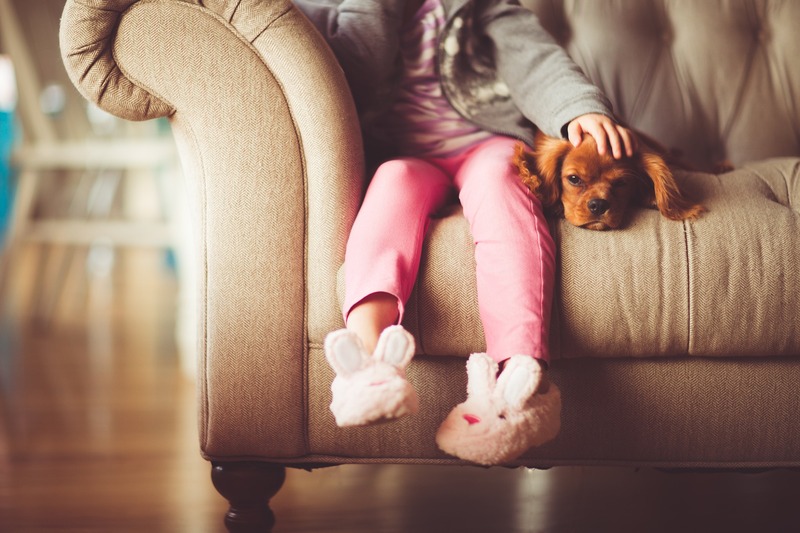 Additional coverage can be purchased for items not included in the standard policy, such as refrigerators, laundry appliances, and spas or pools. If you’re interested in looking into home warranty options, Duck Brothers Real Estate can help you select the product that meets your needs and refer you to the companies best suited for providing that coverage. Just ask your Realtor® for more information! If you’re ready to buy or sell a home, please visit our website for more information! Like us on Facebook for real estate news, local events, awesome recipes, tools, and resources! As you tour homes for sale in Waco and the surrounding areas, you'll have lots of choices to make. Bedrooms, bathrooms, neighborhoods and school districts are important decisions when searching for a forever home. Dining, shopping, and entertainment are also things to consider. Be sure to learn about the age and characteristics of potential neighborhoods and any problems common to the area. An important step when buying a home in Central Texas is to carefully check the foundation for any warning signs. Foundation problems are expensive to repair and can seriously affect a home’s resale value. Unfortunately, they are also very common in Texas due to the nature of our climate and soils. Foundation issues occur when the soil beneath a home expands and contracts from moisture and drought. These fluctuations interfere with a home’s weight distribution, resulting in major structural issues ranging from sticky doors and windows to a cracked foundation. It's wise for homeowners to invest in landscaping and irrigation to maintain the health of their property. This keeps soil moisture consistent and good drainage pulls excess water away from the foundation. Such maintenance is important because repairing a foundation is costly and only acts as a stopgap to further problems. When touring a home, be sure to check it carefully for the signs listed below. Take a walk around the outside and carefully inspect the walls and floors as you tour the interior. These are good indicators of a foundation problem and can help determine if you need any further inspections. 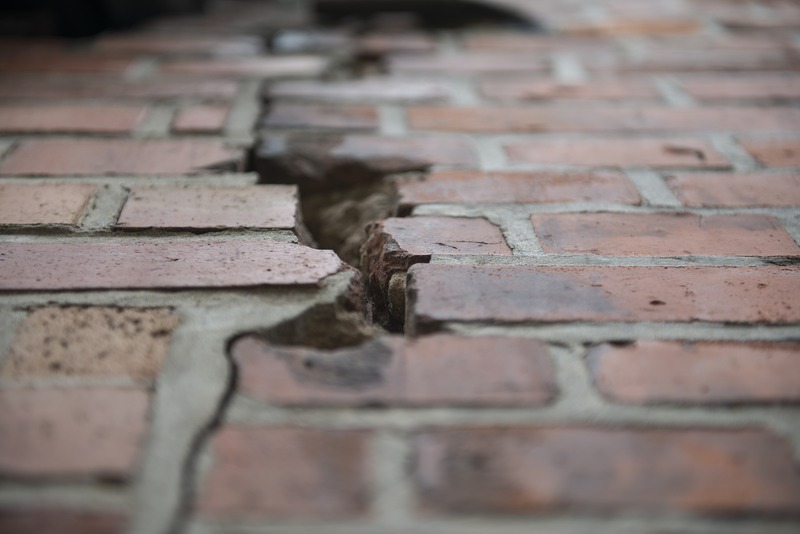 If you see any of these signs, enlist the help of a structural engineer to determine the extent of the damage and which repair method to choose. Whether you’re new to Waco or already call Central Texas home, Duck Brothers Real Estate can make your American Dream of homeownership come true! Our knowledgeable agents can help you choose the perfect property for your needs and guide you through the closing process with skill and ease. If you’re ready to buy or sell a home, please visit our website for more information. The decision to buy a home seems incredibly overwhelming at first! There are so many parts and pieces in the process to become a homeowner. Don’t let it get you down, though. Take a deep breath and start at the beginning. The first step is taking the time to get pre-approved for a loan. Pre-approval is important because it will let you know what types of homes match your mortgage and the price range you’re working with. Pre-approval will save you time, money, and stress as you start your home search. Qualifying for a loan depends on several factors. Lenders will look through your credit history, proof of employment and assets, and examine your debt to income ratio. There are lots of affordable financing options available for almost every budget and situation. Today, we’re going to talk about the specifics of Conventional Loans. Conventional mortgages are not insured or guaranteed by the government through institutions like the FHA (Federal Housing Administration), VA (Veteran's Administration), or USDA (United States Department of Agriculture). They have strict requirements but also allow borrowers to finance the widest range of property types. These mortgages are offered by private entities like banks, credit unions, and mortgage companies or government-sponsored enterprises like Fannie Mae and Freddie Mac. Because conventional loans don’t come with any kind of government assurance in the event of borrower default, they are a higher risk investment for lenders. This can translate to higher interest rates and much stricter qualifying criteria. Borrowers looking to take out a conventional loan will need to have cash for a down payment, good credit, and meet the debt to income ratio requirements. A 620 credit score will allow you to qualify, but a 740 or greater will help you get a good rate. The preferred debt-to-income ratio sits at 36% and cannot exceed 43%. This ratio includes all your current debts and payments, such as car notes, credit cards, and student loans. Many people are under the impression that conventional loans are the same as conforming loans, but this is not the case. Conforming loans are simply financial instruments that meet criteria established by Fannie Mae and Freddie Mac, allowing them to be resold on the secondary market. Conventional loans typically meet these standards, but this is not always the case. Interest rates depend on the terms of the loan, including the length of the loan and amount being borrowed. Your credit and employment history will also be considered when calculating interest rates. Fixed rate mortgages are set, established rates for the life of the loan. Your monthly payment amount will remain the same for the term of your loan. Variable rate mortgages have fluctuating rates that depend on various market factors. The rate changes can affect your monthly payments, but they do have annual and lifetime caps on how high the rates can go. Discount points are fees paid upfront to the lender in exchange for a reduced interest rate. One point is equal to 1% of the loan value and usually takes about a quarter of a percent off the interest rate. Conventional loans can range in term length from 10 to 30 years. 15 and 30-year notes are the most common arrangements. A shorter term length will mean larger monthly payments, but will also save you a bundle on interest fees. The current maximum loan limit for a single-family residence is $417,000. There are exceptions for areas with a higher cost of living that allow borrowers to finance up to $625,000. Conventional loans require a substantial down payment. Most lenders require a 20% down payment, but some will allow amounts as low as 3%. If your down payment is less than 20%, you will be required to purchase private mortgage insurance. Private mortgage insurance is a risk-based insurance that insulates the lender in the event of default. The better your credit and financial history, the lower your premiums will be. A larger down payment translates to smaller monthly payments, helping make your financing more affordable in the long run. You will need to provide at least one month of pay stubs showing monthly and year-to-date income, as well as two years of tax returns (if you own rental properties or have other non-salary income) and two years of W-2 statements. In order to prove your financial stability, you’ll need to furnish at least three months of bank statements for checking, savings, and investment accounts. For conventional loans, you’ll be asked to provide proof of cash for down payment. If the down payment is a gift, you’ll need a gift letters certifying that the money is yours free and clear, and not a loan. The lender will contact your current employer to verify your employment history and salary. If you have recently changed jobs, they might also contact your previous employers to verify the length of time you worked there and your salary. You will need to provide a current driver’s license and your Social Security card to confirm your identity and authorize your lender to check your credit history. We are in the business of building relationships and giving our friends the best possible experience. We can help you find a reputable mortgage lender and guide you through the approval process with confidence. Are you ready to reach your American Dream? Call 254-613-6326 or click www.duckbrothersrealestate.com to speak with a licensed Realtor. 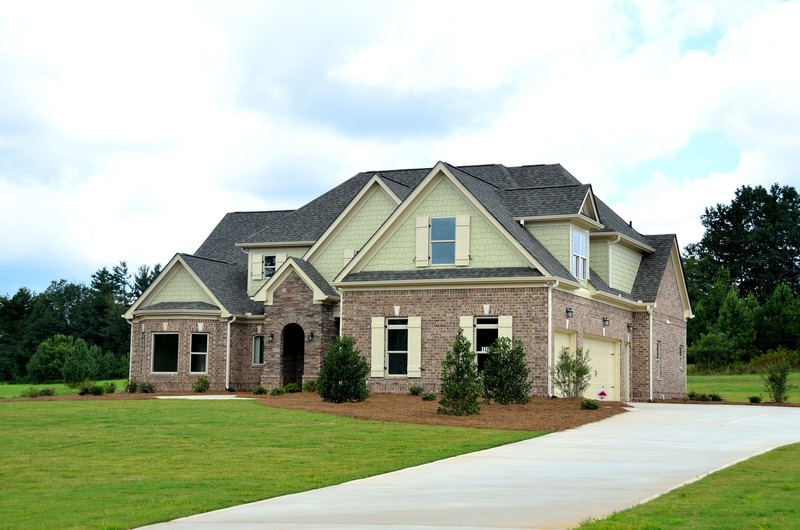 Our experienced agents will make your home-buying experience convenient and stress-free! Our goal is to get you in your dream home as soon as possible! Let’s start today. Like us on Facebook for local and industry news, useful tools, recipes, and humor. Finally ready to buy your first home? Congratulations! This is a big, exciting milestone. The journey from deciding to buy a home to closing on one is a long, complicated process. Take a deep breath and start at the beginning. The first step is taking the time to get pre-approved for a loan. Pre-approval is essential because it will let you know what types of homes match your mortgage and the price range you’re working with. Pre-approval will save you time, money, and stress as you start your home search. Qualifying for a loan depends on several factors. Lenders will look through your credit history, require proof of employment and assets, and examine your debt to income ratio. There are lots of affordable financing options available for almost every budget and situation. Today, we’re going to talk about the specifics of FHA Loans. The Federal Housing Administration (FHA) is part of the Department of Housing and Urban Development (HUD). The administration has been providing affordable financing since 1934, and they are the largest insurer of home loans in the world. FHA loans are government-backed loans offered through FHA approved lenders. This insurance provides repayment security in the event of default, giving lenders the confidence to provide funding for a broader range of people and situations due to more flexible qualifying criteria and lower down payments. Due to their relaxed criteria and low down payment options, FHA loans are excellent for both first-time homebuyers and homeowners looking to refinance. There are also loan options available to finance properties requiring construction or energy efficient updates. Borrowers can purchase a home with as little as 3.5% down. This will affect your monthly payments and influence your interest rate, but it makes the dream of homeownership achievable. Existing homeowners can refinance up to 97.75% of their existing home. Buyers have the option of using gifts or grants for down payments and closing costs. You’ll just need to provide gift letters or documentation confirming the money doesn’t require repayment! Sellers can pay up to 6% of the buyer’s closing costs, which is a great option, especially for first-time homebuyers on a budget. FHA loans have no prepayment penalties and are assumable, which allows another borrower to take over your existing mortgage at its current rate without refinancing! Buyers will be happy to note that it’s also easier to get approved for an FHA loan after a financial hardship and the waiting time is shorter than for conventional loans. If you’re curious about what paperwork and information you’ll need to provide during the approval process, our blog over Conventional Loans has a handy explainer. You can read it here! FHA loans will accept credit scores as low as 580, but the better your score, the better your interest rate will be. FHA loans come in 30, 25, 20, and 15-year terms. There is also a 5-year ARM available for qualified borrowers who are interested in a shorter loan length. Shorter loans will save you bundles on interest, but the tradeoff is larger monthly payments. There is no minimum income level! You’ll just need to make enough each month to cover the costs of your mortgage and other financial obligations. The preferred debt to income ratio in FHA lending is 31/43. Simply put, this means your mortgage payment can't exceed 31% of your monthly income. The remaining 12% covers other types of debt, like credit card payments, student loans, and car loans. Some borrowers can qualify for up to 55% DTI on a case by case basis. While the standard down payment is typically 20% of the purchase price, FHA loans allow borrowers to put down as little as 3.5% up front! A lower down payment has drawbacks, however. It will increase your monthly payments and can affect the interest rate you receive. Mortgage Insurance Premiums (MIP) are fees used to fund the FHA’s insurance coverage of your mortgage. This insurance protects the lender’s investment if you default. The initial premium is equal to 1.75% of the loan amount, and the insurance is maintained by a small fee added to your payment each month. Are you ready to reach your American Dream? Call 254-613-6326 or visit our website to speak with a licensed Realtor®. VA Loans are home and personal loans for our nation’s veterans, active duty service members, and their families. This program has lots of great benefits that make VA loans a powerful money-saving option for eligible borrowers. As with any home loan, the first step is getting pre-approved. Pre-approval is an important step because it lays the foundation for your home financing process, establishes how much home you can afford, and determines a reasonable monthly mortgage payment for your budget. VA loans are backed by the full faith and credit of the United States Government. This reassurance allows lenders to offer lower interest rates and better terms. The government doesn’t set interest rates, lenders do. But federally backed loans give lenders the security to offer financing at lower interest rates. Rates for VA loans are usually .5% to 1% lower than rates offered on conventional mortgages. Most other loans require some type of upfront down payment to secure the transaction. For FHA loans, this can be as low as 3.5%. For conventional loans, this can be as much as 20% But VA loans don’t require a down payment! This offers borrowers consider savings at closing and removes the stress of finding out of pocket cash to buy a home. For example, 20% down on a $150,000 home is $30,000. On a $250,000 home, it’s $50,000. The upfront savings are considerable! Private Mortgage Insurance (PMI) protects lenders in the event of default, but with VA loans, the government assumes this risk for veterans. This can save you between $150 and $345 per month in insurance premiums, depending on the amount of your mortgage. Many lenders include penalties that allow them to recoup a profit if the borrower fulfills the loan obligation early, but VA Loans do not have prepayment penalties. The Basic Housing Allowance (BHA) is an allowance given to qualified active service members. This amount varies based on pay grade, location, and family size. The good news is certain borrowers might qualify to count their BHA towards monthly income for a home loan! Every situation is different, so you’ll want to ask your lender if you’re eligible. If you were dishonorably discharged from military service, you won’t be eligible to participate in the VA Home Loan program. The Certificate of Eligibility (COE) indicates the potential buyer’s entitlement and eligibility to participate in the VA Home Loan program. There are three easy ways to apply for your COE. First, you’ll need to locate your DD-214. Your VA approved lender can typically obtain your COE quickly and easily for you. If you’d prefer to do it yourself, you can apply online through the VA’s e-benefits portal. Or, you can apply by mail using the form 26-1880. The VA Loan program doesn’t require a certain level of income. Instead, they look for stable, reliable income that can comfortably pay all of your bills and new mortgage. The VA also requires a certain amount of “residual income” from their buyers. This left-over money each month acts as a cushion in the event of emergency, and the program has resulted in significantly fewer defaults. VA doesn’t set an official credit score, but most lenders look for a 620. Your lender will pull your scores from three major credit agencies to compare. Remember, the higher your score, the better your interest rate will be. It’s always a good idea to pay down any outstanding debts and check your report for any accounts in collection so you can start this process from the best possible point. Your debt to income ratio is very important in determining how much home you can afford. Lenders will examine your bank statements, w2’s and pay stubs as well as existing credit, personal, or auto debts, and current monthly expenses. The loan process typically takes 30-45 days once you’re under contract on your new home. Reach out to a VA approved lender to begin the process. Obtain your CEO, or have your lender handle the paperwork for you. Finalize your application and provide all necessary paperwork, such as W2, pay stubs, bank statements, proof of assets and monthly bills. 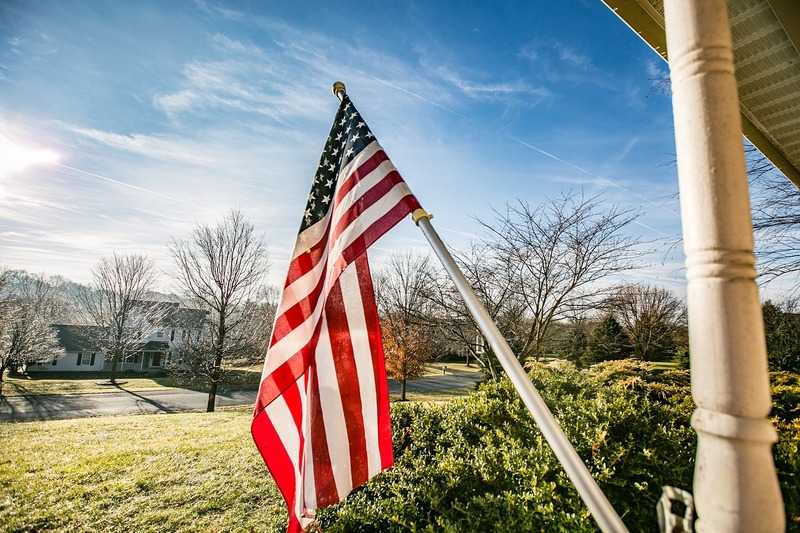 At Duck Brother’s Real Estate, we are proud to be Americans and proud to support our past and present service members. Our military makes the ultimate sacrifice to protect our country and our families, and it is our duty and honor to help each and every service member to achieve their American Dream. If you need help locating a VA approved lender, we can connect you with reputable companies we know and trust. Our goal is to make your journey to homeownership smooth and stress free! We take pride in building lasting friendships with our clients and want to help you slow down and enjoy the experience. If you’re ready to explore your options for reaching homeownership, please call 254-613-6326 or visit www.duckbrothersrealestate.com. We can’t wait find the home of your dreams! Like us on Facebook for local and industry news, upcoming events, humor, and recipes!